Member Bike Gard, Inc.'s Bicycle Storage Locker's Unique Vertical Design Enables Optimum Space Efficient Parking/Storage. Bike Gard Offers Custom Configurations To Meet Specific Project Requirements. 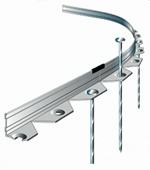 All Metal Construction Helps Prevent Theft and Vandalism. Constructed Of 18 Gauge Powder Coated Steel For Maximum Strenth And Durability. Bike Gard Also Offers Private Delivery and On-Site Assembly. Of Our Benches, Receptacles And Picnic Tables Is Sustainably Constructed By Transforming Household Waste Such As Milk Jugs And Soda Cans Into Functional, Long Lasting Site Furnishings. It Indoor, Outdoor, Commercial or Residential. The Modern Aesthetic of Architectural Clean Lines Combined With Quality Were the Criteria of Designer, Randy Rollner. 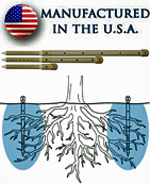 Deep Drip Tree Watering Stakes Aid in the Watering and Fertilization of Trees at the Roots, in Addition to Better Aerating the Soil with Oxygen. Deep Drip Will Deeper Saturate the Ground Around Trees Allowing the Roots to Grow Deep and Strong. Member Evening Star Lighting, Inc. Manufactures Low Voltage, Architectural Accent Lighting Products for Concrete Pavers, Retaining Walls, Decks and Docks.